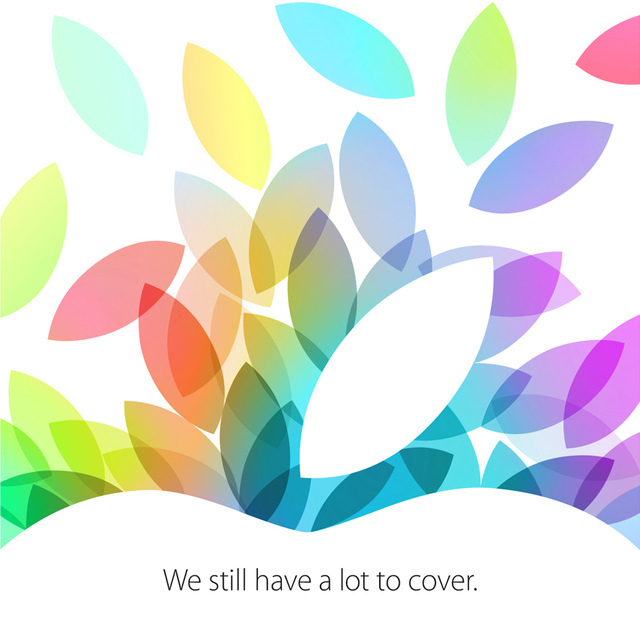 Apple has announced that its next media event will be taking place October 22nd, 10AM Pacific/1 PM Eastern/6PM British Time at Yerba Buena Center for the Arts in San Francisco, California. This year we’re expecting to see a new iPad mini with Retina display, and a brand new full-size iPad with a design similar to the iPad mini. Other rumours mention both devices receiving the new A7 64-bit CPU, new space grey, silver and gold cases and the possibility of both devices including the new Touch ID sensor for fingerprint recognition. We should also see the final version of OS X Mavericks, an updated version of Apple TV, the new Mac Pro and new MacBook Pros with faster chipsets. It’s unlikely there will be time to demo all of these products on-stage, so we can expect to see some updates such as the new MacBookPro being rolled out over the following weeks.